I scheduled an appointment online for a hearing test, that never happened. When I arrived at the office I was greetedby a receptionist who asked me to complete new patient forms. After a 40 minute wait, I was finally seen by Dr. Iqbal who informed me hearing tests are not performed on Thursdays. I was told I needed to reschedule for a different date. Dr. Iqbal simply examined my ears for wax, and sent me on my way to the receptionist to pay my co-payment. I took an entire day off of work to be able to resolve my hearing problem to be treated as a customer and not a patient. I scheduled an appointment online for a hearing test, that never happened. When I arrived at the office I was greeted by a receptionist who asked me to complete new patientforms. After a 40 minute wait, I was finally seen by Dr. Iqbal who informed me hearing tests are not performed on Thursdays. I was told I needed to reschedule for a different date. Dr. Iqbal simply examined my ears for wax, and sent me on my way to the receptionist to pay my co-payment. I took an entire day off of work to be able to resolve my hearing problem to be treated as a customer and not a patient. I went to see Dr. Zafar Iqbal because I was having problems hearing out of my left ear. It felt andsounded muffled. Dr. Iqbal examined my ears and determined that both housed an abundance of ear wax. He flushed out my ears with water and I could immediately hear better from both ears. He was quick and efficient and even cracked a couple jokes. I would definitely come back to see him if any other issues arise with my ENT. I went to see Dr. Zafar Iqbal because I was having problems hearing out of my left ear. It felt and sounded muffled. Dr. Iqbal examined my ears and determined thatboth housed an abundance of ear wax. He flushed out my ears with water and I could immediately hear better from both ears. He was quick and efficient and even cracked a couple jokes. I would definitely come back to see him if any other issues arise with my ENT. Dr. Iqbal has been practicing in northern Virginia for more than 20 years. He brings an abundance of experience dealing with patients specialized ENT needs. 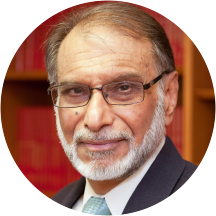 Dr. Iqbal prides himself on getting to know each and every patient, who can take pride knowing that he is a board certified in Otolaryngology. In his spare time he enjoys spending time with family, reading and traveling. Dr. Iqbal was friendly and did a good job of figuring out what I needed despite my admittedly vague idea of my problem. I had been experiencing occasional dizziness and wanted to rule out an inner ear issue as the problem,and after a subsequent hearing test Dr. Iqbal and I were able to rule that out. Though he wasn't able to provide a complete cure, Dr. Iqbal did suggest that a treatment that might help and so far that is proven to be the case. He is very good doctor . So kind and make me feel comfortable , understand my concerns , did the test to me in the office , and explain to me why I have the symptoms and how to treat it. he takes his time with every pation . The ofifice is Not over crowded , and friendly . Dr. Iqbal is a wonderfully caring doctor. I highly recommend him. The office doesn't over schedule and you are seen right on time. Entire process of finding Dr. Iqbal, setting up an appointment, reviewing and signing paperwork upon arrival, and payment were all smooth and efficient. Office staff person was courteous and helpful. One word of caution to new patients orthose new to the Virginia Hospital Center parking deck: lanes and spots are narrow, so allow plenty of time to navigate the parking garage and wait in lines. Staff an doc both very friendly. Fast and satisfying solution to my minor ear infection. After suffering with post nasal drip that persisted weeks after a cold, I saw Dr.Iqbal. He listened to my description of the current problem, asked good questions about my medical history and performed a brief but targeted examination. He explainedhis findings, described the treatment and sent me away with two prescriptions and a coupon to reduce the cost of one of them. I made another appointment with Dr. Iqbal's friendly and professional receptionist and was on my way in 30 minutes. EVERY doctor's appointment should be this easy! After recent experiences with disinterested, condescending doctors, and rude, incompetant office staff, Dr. Iqbal's office was a treat! Another keeper from ZocDoc! Dr. Iqbal is wonderful. Most doctor office visits feel fragmented (they're in and out of the room a lot etc.). He was so attentive and listened to everything I had to say and how I was feeling and was with methe entire time. He is fantastic and I would highly recommend him. Dr. Iqbal was excellent! I had to have a scope of my nose and throat. He numbed it very well and there was no pain at all. This was the worst doctor's visit ever. 1. I scheduled a hearing test and when I got there and waited an hour, he told me they only did hearing test on Wednesdays. He made me wait for a hearing test thathe couldn't even do. 2. Equipment was outdated and not clean. 3. He would validate some patient's parking but not others. It's all about how he feels. I will never come back again. Dr. Iqbal was very knowledgeable and thorough during our visit. The doctor was a little backlogged when I arrived, but it was worth it for the quick and attentive treatment. When I walked in, I saw a wall of paper records behind the front desk. Not a good sign. Then I had to fill out paperwork that I'd already filled out online. No big deal, but not ideal. Then, I wentback. First of all, at no point did Dr. Iqbal put on gloves, including when he examined my throat and ears. Then he told me that I probably didn't have strep based on what he saw, but he'd do a test to be sure. But not a rapid test. This test would take three days. I asked why he wasn't doing a rapid test, which is what I'm used to getting. Was the three-day test more accurate? Yes, he said. But later he said that standard practice is to confirm the rapid test results with a three-day test. Well then why not do that for me?! He said I'd need to get strep many more times in a row before he'd recommend surgery. I've had it three times since October. I also asked about my persistent post-nasal drip that doesn't respond to antihistamines and he recommended... saline spray. So all that was weird and disappointing and slightly scary. But then things really go off the rails. He puts my throat swab sample in a plastic bag and tells me to walk it over to the lab. I of course have no idea where the lab is. He gives me directions but I get lost. When I finally find the lab I have to put my name in an iPad and sit and wait for ten minutes for them to call my name to hand over a bag. Except when they call my name I don't just hand over the bag. I have to sit down at a desk and spend ten more minutes giving all kinds of personal information to stranger so they can "register" me, even though the doctor already has all that information from me both from Zocdoc AND FROM THE FORMS I FILLED OUT that day. I was told by the people at the doc in the box to go see an ENT about my recurring strep throat. So I did. And it was a major waste of time and money. He's very thorough which I absolutely love! Dr. Iqbal really listened to me and treated me very well. He seems to have a lot of experience and he made me feel like he actually cared about the problem I was having. Had some earwax needs to be cleaned. Made a 9am appointment, Dr. Radar showed up at 10:30. Incompetent and cannot even get the simple task done, told me to go back and use the earwax removal. Went to another doctor andhave my two ears cleaned in 15 mins. Would never recommend here. Excellent bedside manner and very consultative in developing a plan for me. He's incompetent. We wasted two visits as he could not diagnose my issue. He sent us to the ER, and the doctor there figured out my inner ear infection and I got better immediately. Seemed to have given up on finding a solution for my condition before even starting. Treatment protocol that was suggested was very vague and unhelpful. Seemed disinterested. Dr. Iqbal was quick to see me and treat me. I was in and out of his office in less than 30 minutes after my appointment time. Dr. Zafar was very professional, very knowledgeable, and was very good at explaining everything that he was doing. I highly recommend him and I'll definitely visit him again in the future if there is a need. Dr. Iqbal was fantastic! After years of being prescribed incorrect medicine by other doctors who did not have a firm understanding of my issue, Dr. Iqbal in my first visit correctly identified the cause of my ear issues. If you wanta shiny office with a modern lobby, you might be disappointed. However, if you want excellent medical care by an outstanding practitioner, with a friendly and professional office team, see Dr. Iqbal.